LAS VEGAS – Manny Bermudez is feeling pretty appreciated right now. It’s no wonder, as the undefeated UFC bantamweight recently signed a new four-fight contract that could extend his impressive streak. “I feel like they like me,” Bermudez told MMA Junkie on Wednesday. Bermudez (14-0 MMA, 3-0 UFC) has been working at the UFC Performance Institute to shore up a few nagging injuries with an eye on returning this summer. He’s also reevaluating the caloric side of his job after a weight miss in his previous outing, a first-round submission of the previously unbeaten Benito Lopez in February. Before he pumped the brakes on his competitive schedule, Bermudez sought to steal the zero of another up-and-coming bantamweight, Sean O’Malley. But O’Malley remains in limbo with the U.S. Anti-Doping Agency after a positive marijuana test. “I think International Fight Week would have been awesome,” Bermudez said. “I was looking at fighting Sean. I thought it would be cool to have two undefeated guys fighting each other. I think a lot of times, two guys like that don’t get put up against each other. 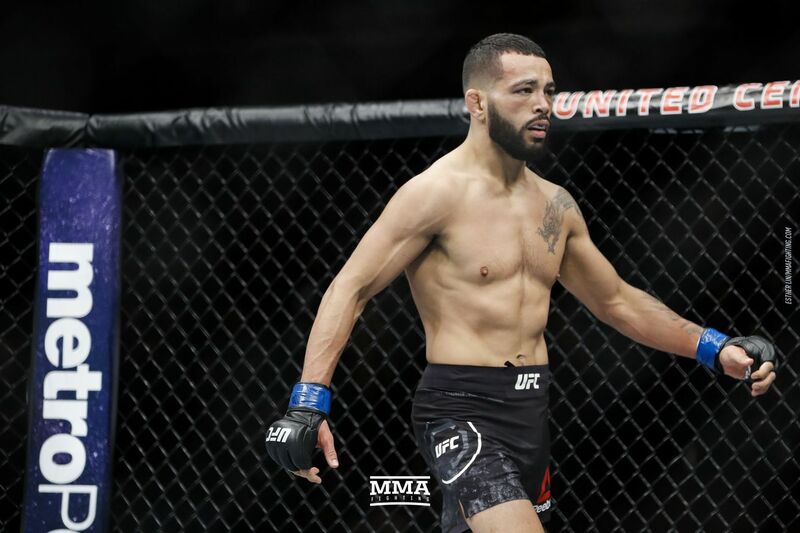 If Bermudez is looking for unbeaten competition, there aren’t any other options besides O’Malley and “The Ultimate Fighter 27” winner Brad Katona. But either of those fights sound just fine to him. And with four more fights to burn, he’s got time to get to both. To hear our full one-on-one interview with Bermudez, watch the video above. Brazilian atomweight Monique Adriane has signed with Invicta Fighting Championship, the fighter announced on social media. 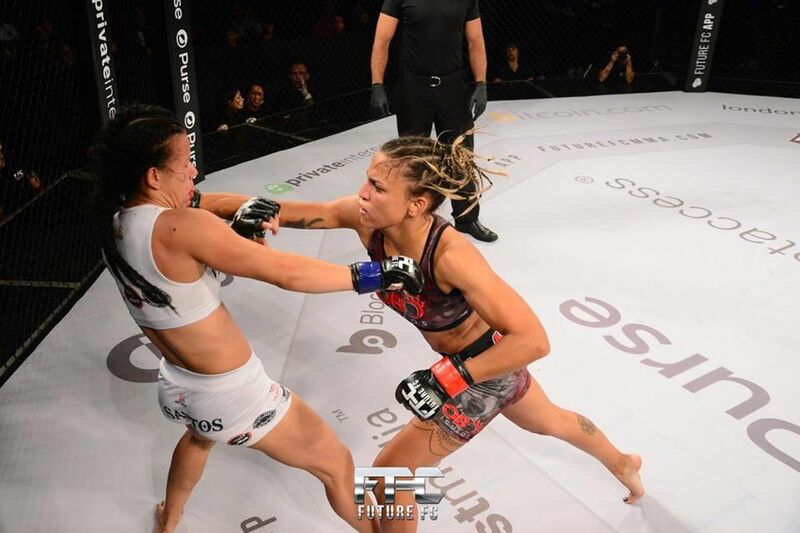 Adriane (4-1), who suffered her only defeat last September, losing a split decision under the Shooto Brazil banner, bounced back with a second-round TKO victory, scoring her first stoppage as a professional fighter at March’s Future FC 3 in Sao Paulo, Brazil. Invicta FC has yet to book her promotional debut. Watch Adriane’s recent TKO win below. RIO DE JANEIRO – Anderson Silva has a few fights left on his UFC contract – three or four, he said, though he couldn’t say for sure – and he intends to complete them. But speaking to reporters in Rio de Janeiro about his UFC 237 homecoming against Jared Cannonier, Silva acknowledged the end of his career is approaching. The former middleweight champion, who turned 44 this month, doesn’t rule out a new stab at the title in this final stretch. “Anything is possible,” Silva said, and “every fighter who’s in the UFC thinks about the title.” It was, after all, with the title in mind that Silva agreed to take on Israel Adesanya back in February. But after defending the belt 10 times throughout an almost seven-year long reign, Silva says he’s “absolutely” comfortable with the idea of retiring without touching UFC gold again. “I never put something in my mind like, ‘Oh I need to fight again for the belt,’” Silva told reporters, including MMA Junkie, in English. “No. That’s a part in my life I passed. But I continue to fight. But I don’t know – maybe I have a new opportunity to fight for the belt. I don’t know. Silva (34-8 MMA, 17-5 UFC) meets Cannonier (11-4 MMA, 4-4 UFC) on May 11 at Jeunesse Arena in Rio de Janeiro. The main card of UFC 237 airs on pay-per-view, following prelims on ESPN and ESPN+. Silva comes into the match off the applauded, but unsuccessful effort against Adesanya at UFC 234. Cannonier, in turn, comes off a knockout win over former WSOF champion David Branch this past November. The bout was Cannonier’s first at middleweight after UFC fights at both the 205-pound and heavyweight divisions. Despite Cannonier’s momentum, it’s fair to say his name isn’t quite as high-profile as the ones that Silva had been requesting – namely, fellow ex-UFC-champ Conor McGregor and former opponent Nick Diaz. So what led the former champion to say yes? Later asked about what that challenge is, specifically, Silva said he sees Cannonier as a “very strong” opponent, who’s had “a lot of experience in this sport.” But, also, Silva also says there’s more to it than the name on the contract. Asked directly how many fights he has left on his current UFC contract, Silva said he’d have to check, but that it’s either three or four, probably four. Whether they will involve a title shot or not is not in the forefront of Silva’s mind at the moment. But despite his recent 1-5 run and the scenario atop the 185-pound division, involving veterans like Yoel Romero and up-and-comers like Paulo Costa, Silva doesn’t think it’s entirely out of the picture. “I think everyone has their space,” Silva said. “What happens a lot is – everyone has their space, but everyone has created a different legacy in this sport. They’re just coming in. Romero not so much, but ‘Borrachinha’ (Costa) and many others, they’re coming in. They don’t understand that there’s a business behind all of this. To hear more from Silva, check out the video above. 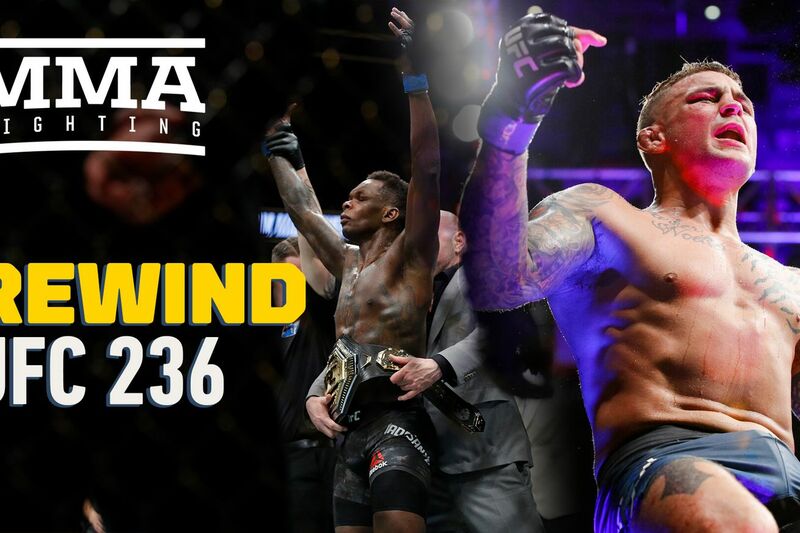 And for more on UFC 237, check out the UFC Rumors section of the site. 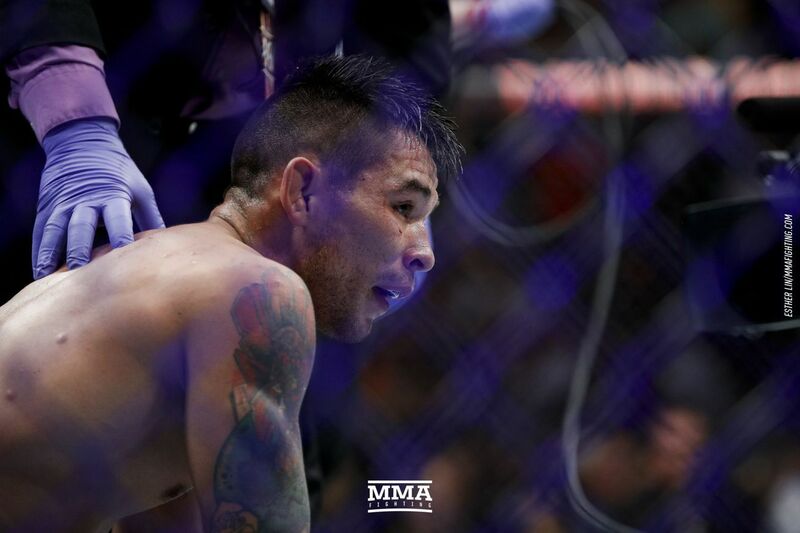 Ray Borg’s struggles with the scale have been well-documented, and if he loses that battle again, it could be for the last time. “Since arriving home after my last fight, I have made some drastic changes to my lifestyle habits. I used to be very careless with my diet and stopped spending time in the gym in between fights, which turned fight camps into weight-cut camps. I have taken my career to a whole new level mentally and have started taking the steps to go from dieting/fight camps to lifestyle. Borg’s last fight took place on March 30, 2019 at UFC Philadelphia. He was supposed to be competing at 135 pounds for the first time inside the Octagon after a successful run at flyweight that saw him once challenge Demetrious Johnson for the UFC flyweight championship. However, Borg came in a pound over the bantamweight limit before losing a unanimous decision to Casey Kenney. It was his third official miss after previously coming in heavy for a pair of 125-pound bouts. He has also withdrawn from several bouts just days before fight night due to illnesses and other undisclosed medical issues. LAS VEGAS – Tim Means wants you to follow him on Instagram, because that might be the only way he’ll get an eventual fight with Diego Sanchez. By his tone, it’s pretty clear Means (28-11-1 MMA, 10-8 UFC) is more than slightly annoyed a fellow longtime UFC fighter like Sanchez (29-11 MMA, 18-11 UFC) would make such a request. Sanchez is coming off a second-round TKO of Gall at UFC 235 in March. If Means gets a fight with Sanchez, it’ll have to be down the road. At UFC on ESPN+ 4 in March, he was doing well against Niko Price (13-2 MMA, 5-2 UFC). Then he injured his foot, and things went downhill from there. Price finished him with a TKO with 10 seconds left in the opening round. But the injury, Means said, actually stemmed from older issues with the foot – and the loss was the impetus he needed to get surgery. Had he beaten Price, he said he probably would have continued to push through despite the problems it was causing him. “I had him hurt a couple times early in the fight – had him wobbled twice,” Means said. “Then I wobbled him for a third time and thought I heard that 10-second count. I’m usually pretty good at telling my range and where I’m at. I hit him with a shot that knocked him into the fence, and I came running in to put a finishing touch on him and he hit me with that hook and knocked me over. Means said he’s been utilizing the UFC PI after the surgery – and also taking advantage of an opportunity to not be as strict with his diet. Down the road, he said, a move to middleweight almost certainly is in his future. But when he returns, he plans to be back at welterweight. And he hopes that’s by the time fall rolls around. The scenario has been repeated over and over again for the last four years. A UFC fighter will get a knock at the door at around 6 a.m. The people or person coming calling at that hour wants to take a urine or blood sample to be tested. The protocol is part of the UFC’s anti-doping program under USADA and has become the norm for athletes in the promotion since 2015. That exact situation happened Thursday morning to UFC featherweight Dan Ige. Except he found out afterward that the person taking his blood was not affiliated with USADA in any way. Ige told MMA Fighting that a woman rang his doorbell at least six times around 6:30 a.m. local time in Las Vegas on Thursday morning. He answered the door and the woman, who had a foreign accent, said she wanted to take his blood. Still half asleep, Ige said he agreed, because he has done that numerous times for USADA as part of the process to prove he is a clean athlete. So, the woman took Ige’s blood. Several vials of it, he said. Ige said he started to get suspicious when after she was done he asked her about filling out some forms, which is normal procedure with USADA. Before the woman left, Ige said she asked him his last name. Then his first. Neither seemed to match up with the list she had. As it turned out, the woman went to the wrong address. Ige said it’s easy to mistake his address for one across the street in the cul de sac. Ige said he got flustered at that point and asked her to leave — but forgot to get the vials of his blood back. Ige said when he gets home Thursday from training he’s going to go to the address the woman was supposed to go to and see if he can get more information about who now has his blood. Ige said when doping control officers come to take his urine samples in Las Vegas, it’s usually the same two people. But when someone comes to take blood, it’s usually someone different. So, he didn’t think much of this, especially in his half-asleep state. Getting those 6 a.m. wakeup calls from people wanting urine or blood samples is basically a way of life now for UFC fighters. It’s an inconvenience, but one that many make willingly in order to be part of what they desire to be a clean sport. This time, though, it wasn’t USADA at all. Ige is still searching for answers. Sure, a quick victory would be great, but if Roxanne Modafferi has her way, she’s going to endure a crowd-pleasing battle on Saturday. Modafferi (22-15 MMA, 1-3 UFC) faces undefeated prospect Antonina Shevchenko (7-0 MMA, 1-0 UFC) at Saturday’s UFC on ESPN+ 7, which streams live on ESPN+ from Yubileyniy Arena in St. Petersburg, Russia. The women’s flyweight matchup takes place on the night’s main card. A 15-year veteran of the sport, Modafferi said she’s anxious to get back in the cage. She last saw action in November, when Sijara Eubanks missed weight for their UFC 230 clash and then used a smothering top game to grind her way to a decision win. “I don’t regret taking the fight; I was just very disappointed in how it turned out because I don’t really feel like I made any glaring mistakes in the fight,” Modafferi said.” I didn’t get beat up. She just got top position, and even though she didn’t land a lot of ground and pound, I just couldn’t stand up, and it looked bad in the eyes of the judges. Modafferi will face a very different opponent in Shevchenko, a long, lean striking specialist who despite being a relative neophyte in MMA is well versed in kickboxing and muay Thai. Modafferi said she was thrilled when presented with the matchup. “I don’t even care where she’s ranked right now,” Modafferi said. “I just want to be able to fight. I want to show what I can do. Shevchenko, of course, is the sister of current UFC women’s flyweight champ Valentina Shevchenko, so she steps into the cage with a bit of aura behind her name. But Modafferi insists her opponent’s bloodlines play no factor in the contest. Modafferi said she is impressed by some of Shevchenko’s abilities but certainly isn’t intimidated. Having previously defeated the likes of DeAnna Bennett, Marloes Coenen, Sarah D’Alelio, Barb Honchak, Tara LaRosa, Andrea Lee and Vanessa Porto, among others, Modafferi believes she’s capable of dealing with whatever comes her way. A win over Shevchenko would go an awful long way toward erasing the frustration of the loss to Eubanks. It would most likely earn her another big name, as well, and that’s ultimately what “The Happy Warrior” is hoping for with a positive result. For more on UFC on ESPN+ 7, check out the UFC Rumors section of the site. One could hardly blame Ilima Lei-Macfarlane if she was confident on the verge of arrogant at this stage of her career. After all, she’s made a sport as difficult as mixed martial arts look as easy as can possibly be during her four years as a pro. The proud Hawaiian is 9-0 as she heads into her flyweight title defense againstVeta Arteaga at Bellator 220 in San Jose, Calif. on April 27. And yet, not only has the undefeated champion managed to stay grounded, but she’s used an unusual psychological approach to get maintain her success. On Tuesday’s edition of MMA Junkie Radio, Lei-MacFarlane explained that she manages to convince herself that every time she steps into the cage, she’s going to lose, and that this helps her to be her best. This approach certainly has worked for Lei-Macfarlane thus far. She’s earned submissions in each of her past four fights, which brings her total in the Bellator cage at six, which is tied with former lightweight title challenger Marcin Held for the company record. Lei-Macfarlane (9-0 MMA; 8-0 BMMA) can set the submission record – and extend a remarkable streak – with another submission victory when she meets Arteaga (5-2 MMA; 4-2 BMMA) but in this case, she says the secret to her success is that she doesn’t actually go out looking for the finishes. They just come to her. In the meantime, she’ll go back to simply assuming she’s going to lose the fight. And why not? The strategy hasn’t failed her yet. 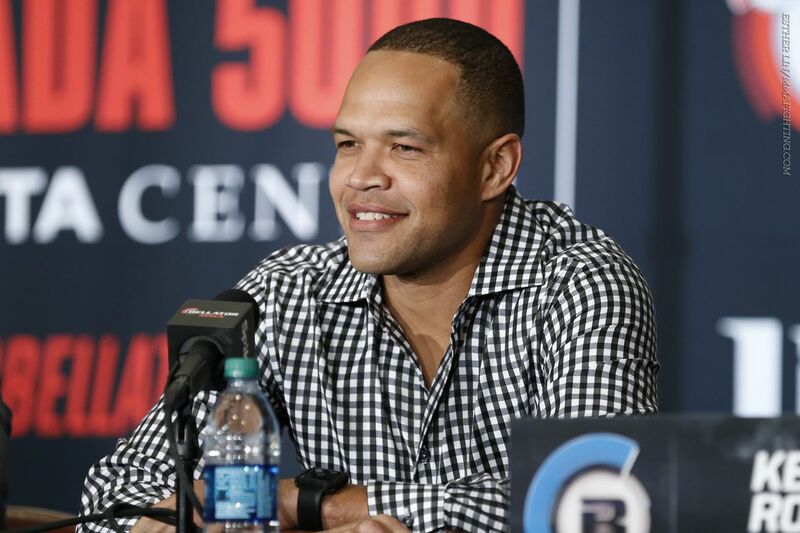 Kickboxing legend Raymond Daniels has a new assignment for his Bellator debut and his second mixed martial arts bout on the Bellator Birmingham card on May. 4. Bellator confirmed to MMA Fighting that Daniels’ initial opponent Jon Durrant had been forced from the welterweight contest due to injury and will be replaced by MMA debutant and decorated U.K.-based striker, Wilker Barros. Bellator also noted that the bout would remain on the event’s main card. Daniels (0-1-0 MMA) is considered one of the greatest kickboxers of all time. His celebrated 13-year kickboxing career has seen him compete for the biggest promotions in the sport including K-1, Glory, World Combat League, and Bellator Kickboxing. He is 8-0 under the Bellator Kickboxing banner and currently holds the promotion’s welterweight championship. “The Real Deal” suffered a defeat to Jeremiah Metcalf in his sole MMA outing thus far, succumbing to a second-round rear-naked choke at a Strikeforce event in July 2008. Barros will make his MMA debut on the night, but boasts a competitive striking record of 17-5-2. Formerly signed to Glory Kickboxing, “The Black Panther” is based in London and fights out of the KO Next Generation gym.